"Big Data, Open Data, and Scholarship"
Join us Feb. 29, 2016 at 3pm at the University of Pittsburgh’s University Club (Ballroom A). This event is free to attend and no RSVP is required. A reception will follow. 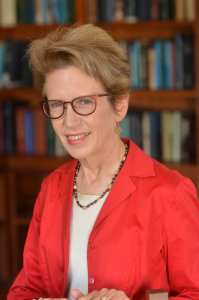 Lecturer Bio: Christine L. Borgman is the author of more than 250 publications in information studies, computer science, and communication, including three books published by the MIT Press. Big Data, Little Data, No Data: Scholarship in the Networked World (2015), follows Scholarship in the Digital Age: Information, Infrastructure, and the Internet(2007) and From Gutenberg to the Global Information Infrastructure: Access to Information in a Networked World (2000), winners of the Best Information Science Book of the Year award from ASIST. She is a Fellow of the American Association for the Advancement of Science and of the Association for Computing Machinery; recipient of the Paul Evan Peters Award from the Coalition for Networked Information, Association for Research Libraries, and EDUCAUSE; and a Legacy Laureate of the University of Pittsburgh. Prof. Borgman directs the Center for Knowledge Infrastructures at UCLA with funding from the Alfred P. Sloan Foundation and the National Science Foundation. She is a Distinguished Professor and holds the Presidential Chair in Information Studies. About SFI: The Sara Fine Institute for Interpersonal Behavior and Technology (SFI) was founded in 1999 to promote social research on science and technology in the School of Information Sciences at the University of Pittsburgh. SFI was named in honor of Dr. Sara Fine, a long-time professor at the iSchool who dedicated her career to investigating the psychological and sociological effects of new technologies. This annual flagship SFI event is the largest colloquium the School of Information Sciences hosts each year, which attracts top lecturers from a variety of academic fields. For more information about the Sara Fine Institute and lecture, visit: http://sarafineinstitute.org. This event is co-hosted by the Sara Fine Institute at the University of Pittsburgh School of Information Sciences and the University of Pittsburgh Department of Anthropology.